Look, we have to talk about this feeding the birds lark. I know the RSPB tell you to do it, and the WWT make it a tourist attraction in itself. But neither of them would have any truck with feeding white bread to ducks. Just look at what I saw today at the peaceful nature reserve of Langstone Millpond. So much bread that the ducks (and in this case a coot) are just ignoring it. It will rot, adding nutrients to the water and damaging the habitat. The notion that waterfowl cannot survive without human intervention is false. Ducks and geese have survived for thousands of years without handouts and today many species of waterfowl are thriving. These birds didn’t need any extra food in the first place, so the whole thing is just silly and unnecessary. To help wildlife, really it’s best to feed wild birds in moderation if at all. 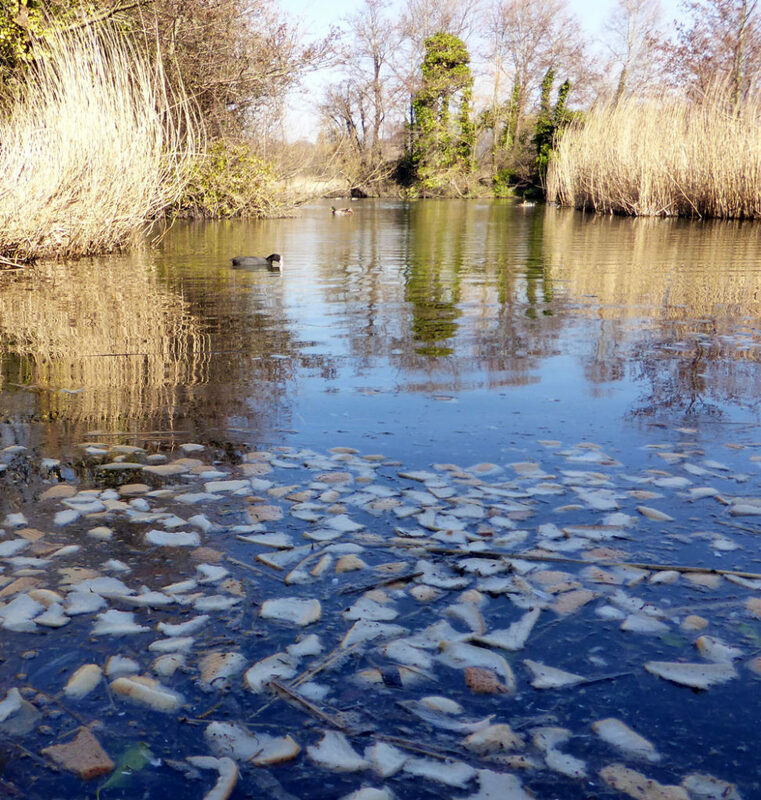 That’s a point that many would debate, but I don’t think anyone – except, presumably, the twit who put it there – would argue that the Langstone Millpond birds will benefit from all that bread. So please, give it a rest with the sliced white bread. If you must feed them, give them proper bird food. And ideally, just enjoy watching them behaving like wild birds. They could have at least thrown in a couple of packs of fish fingers to go between those white slices. Previous Previous post: Spurn Spawn!